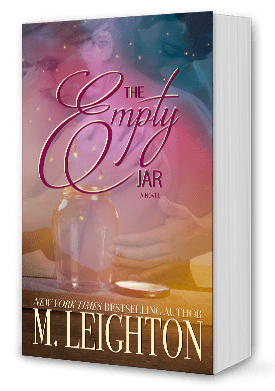 As soon as I saw the synopsis for M. Leighton’s The Empty Jar I knew it was a book that I NEEDED to read. I also knew it was a book that would absolutely gut me. But maybe that was even more reason that I knew I needed to dive into it. I’m not spoiling anything by saying this book is tragic. You can tell that right from the synopsis of the book: But some lifetimes are shorter… and But it is tragic. Yet so, so beautiful. And it really was. I had tears blurring my eyes for much of this book, making it hard to make out the words on the pages in front of me. But the whole book was just beautiful – though that seems trite – the beauty seeps out from everything that happens in this book. The love that Lena and Nate share is awe-inspiring. Their utter devotion to each other no matter how rough things get… The length they will go to in order to protect the other, the other half of their soul. It is a love that I hope all of you have a chance to experience. I would be lying if I said I wasn’t jealous of that relationship, of having someone who loves you with such wealth and completeness that you are their everything. As I struggle daily with some chronic illnesses and I feel deep down that I will not live until I am old and gray I treasure all of the love I do have in my life. My parents who now take care of me, my siblings my nieces and nephews and the wonderful friends that I have made. I live each day as fully, as happily and with as much appreciation as I can. And that to me is the true message of this book. Don’t live life with regret. Appreciate all that you have around you. Fill up your mind with all of the beautiful moments that surround you every day. Hold them close and share your love because when you do your jar will always be full. Do I recommend this book? That is a resounding yes. It is one of the most beautiful stories that I have read. Make sure you have tissues nearby otherwise your sleeve is going to be soaked! Make sure you are in the right frame of mind to deal with a book that is going to wring your emotions and leave you spent. A definite book hangover book if I have ever read one. But don’t hold back and think ‘I can’t do this’ because you can and you will be so glad once you have read it. The beauty of the love story.. there are just no words. I received a complimentary copy of The Empty Jar in exchange for my honest review. 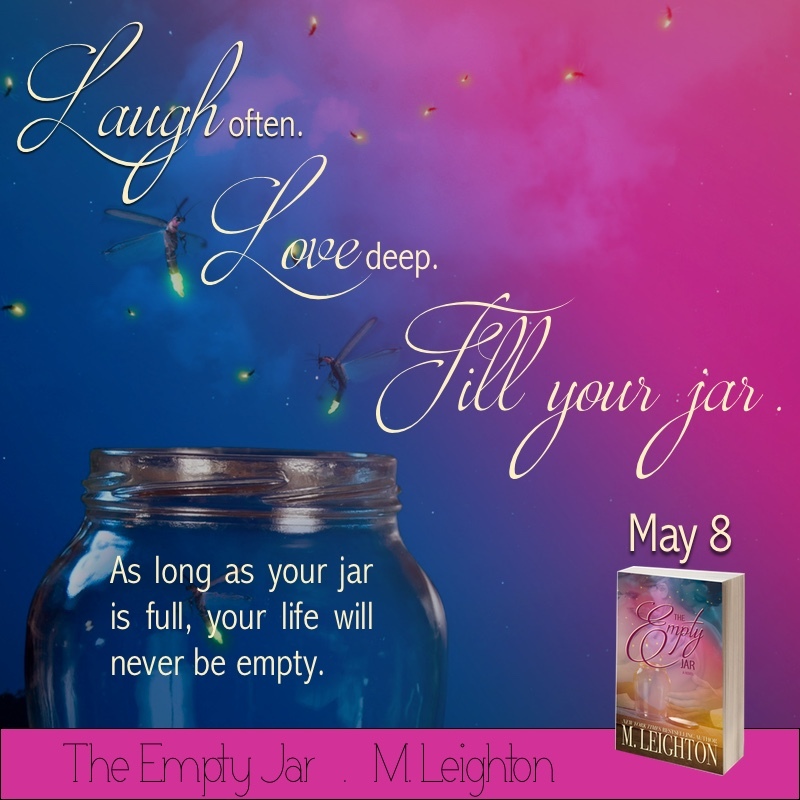 Posted on May 8, 2016, in Release Blitz, Release Day, Review and tagged Release Blitz, Release day, Review, The Empty Jar. Bookmark the permalink. Leave a comment.